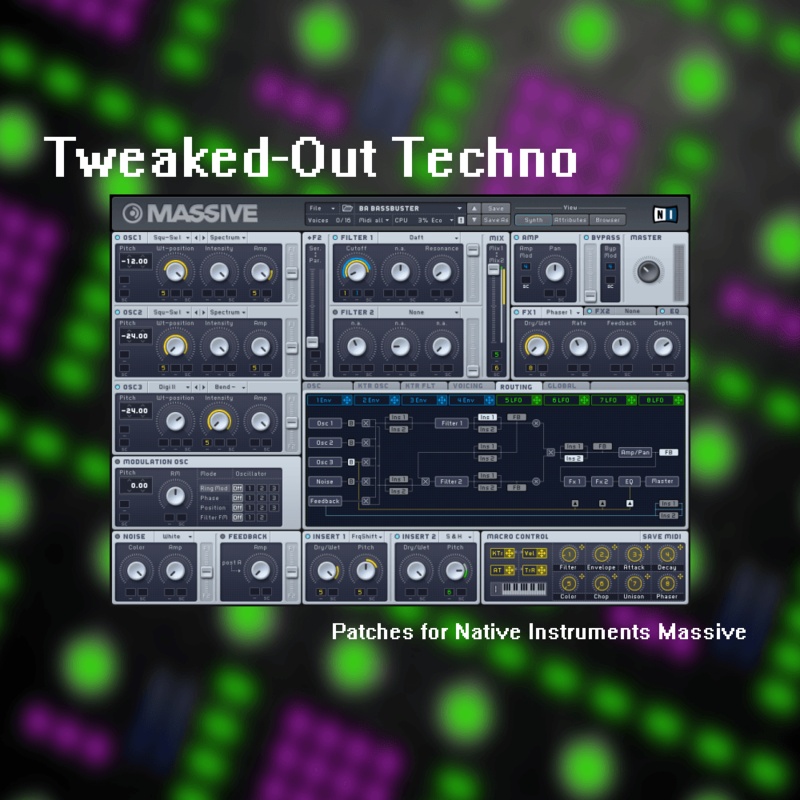 Tweaked Out Techno contains 50 extremely powerful presets for Native Instruments Massive, targeting electro house/complextro, tech-house and minimal techno, taking inspiration from such artists as Dirtyloud, Spencer & Hill, Porter Robinson and more. Each patch in the soundset uses the Macro Controls, the vast majority of them using all 8 for maximum tweakability and expression. The soundset ships in a zip file containing both KSD and the new NMSV format. Bryan ‘Xenos’ Lee has worked as a sound designer for such companies as Cakewalk, Rop Papen Inspiration Soundware, ReFX, Camel Audio, Image-Line and many more. His work is found in the factory presets of such synths as Z3ta 2, Alchemy, Gladiator, Punch, Toxic Biohazard, Scanned Synth Pro 2, Chipsounds, DCAM Synth Squad, D.I.V.A., etc. He is also very active in developing his own brand, Xenos Soundworks.